Sameer Berry says that a smart toilet is ‘desperately needed’ to prevent needless deaths. Health tracking toilets could be the key to spotting diseases by monitoring and tracking faecal matter. Gastroenterologist Sameer Berry says that a smart toilet is ‘desperately needed’ to track patient’s health data. Examples of these include bowel cancer, perianal abscesses, Crohn’s disease and irritable bowel syndrome. ‘Bowel habits is a big one,’ he says. ‘It’s also arguably among the most impactful and actionable data. Although the technology does not exist as of yet, Berry says that this is the invention would be a key opportunity for doctors to monitor gut health. Mr Berry says that currently doctors rely on what patients tell them but there are many problems in this. ‘Patients frequently can’t remember whether they had a bowel movement. ‘Doctors ask patients questions about their bowel movements and other details, consistency, color, blood, and so on, but we currently rely a lot on anecdotal information from patients or nurses. ‘This seems bizarre in a world where other data is collected by technology. He says that the obvious solution is an upgrade to the toilet which has not been significantly improved upon for hundreds of years. Smart toilets do exist and are ubiquitous in places like Japan but they are more hygiene focused with features such as warm-water washing, air drying, and heated seats. 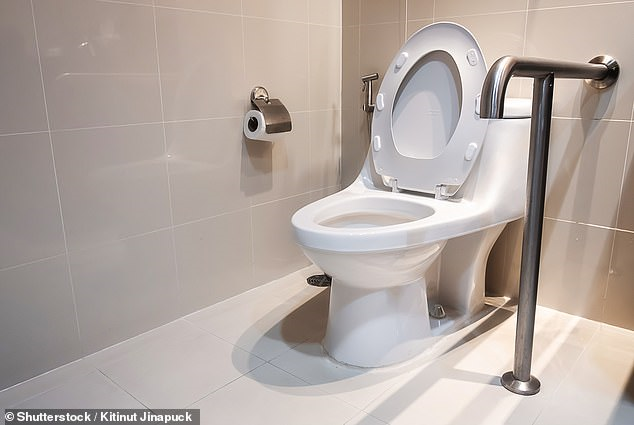 Toilet manufacturing giants Toto and Matsushita have made ‘a step in the right direction’ when they released WiFi-connected toilets that measure body mass index, biochemical makeup sugar, protein, flow rate, and temperature of urine. Inui Health recently announced FDA approval for its smartphone-connected urine analysis which can detect bladder infections, pre- and gestational diabetes, and kidney disease, all in the comfort of one’s home. ‘None of these have been incorporated into a single toilet, leaving a wide open opportunity for entrepreneurs,’ says Mr Berry. ‘Patients of all ages and socioeconomic classes experience gastrointestinal symptoms, and we are well aware of the diet’s impact on our overall health. ‘I see a lot of potential in measuring hormone fluctuation with menstrual cycles for family planning, or skin-sensing electrocardiograms. 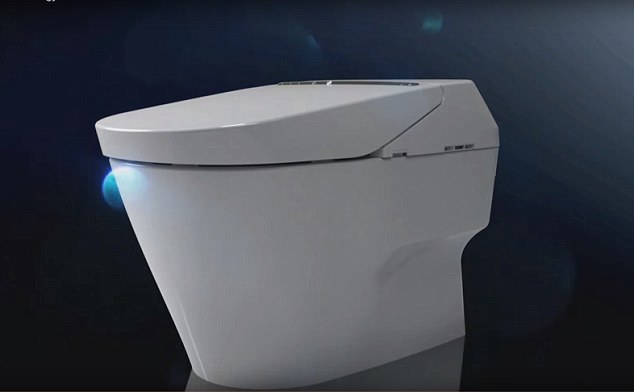 £4000 ‘smart’ toilet warms your bum and sets mood lighting.